A new €4.5 million food innovation hub for Athenry is a “vote of confidence” in the town earmarked for Apple’s data centre project, says local TD Seán Canney. “Apple is not dead, but it is in limbo, and this shows that it is not the only project around,”the Independent Alliance TD for Galway East said. The Bia Innovator Campus was one of 21 regional projects announced by Enterprise Ireland on Monday. Mr Canney said it could create up to 360 jobs within three years in more than 40 businesses. He said the food hub project had been developed by Galway County Council “some time back”, but “there is no doubt it is positive news for Athenry when it needs it”. The multinational has declined to indicate whether it will proceed with the first phase of its €850 million data hall development on former Coillte lands some 4.5km outside the town. Two residents are currently seeking Supreme Court approval to appeal the High Court’s rejection of their challenge to planning permission. The €2.5 million earmarked for Bia Hub investment is part of an Enterprise Ireland investment of more than €30 million in funding for regional projects under the Government’s regional action plan for jobs and for rural development. The 21 applicants were awarded funding on the basis of their focus on “strengthening the rural and regional economy”. The projects range from group’s requiring funding of up to €5 million for “major change projects” with smaller group’s requiring up to €250,000 to help create industry clusters. In terms of the regional spread, €14 million was approved for projects in the southern region, €11 million for the eastern and midlands region and €5 million for the northern and western region. 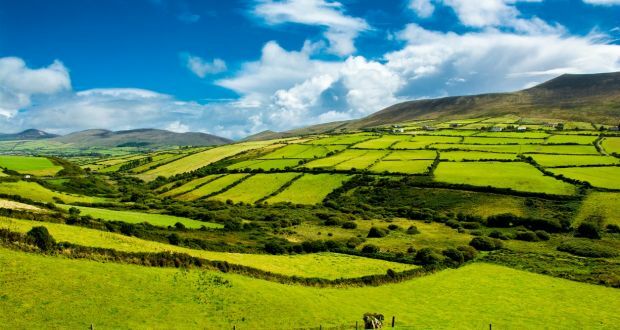 Among those receiving funding is a project hoping to develop an agritech centre of excellence, a development of a 3D manufacturing facility and a community enterprise job-creation initiative looking to create 200 jobs in Dingle, Co Kerry, over the next five years. Minister for Business, Enterprise, and Innovation Heather Humphreys said the funding would help stimulate regional growth. “Our aim was to provide financial support for organisations set up specifically to bring together stakeholders on projects that will benefit the local community, the region or nationally. Enterprise Ireland chief executive Julie Sinnamon said the next funding round will open in March 2018 and she expected to see a “similar level of interest from new applicants as well as applications from some first-round applicants who may wish to reapply”.